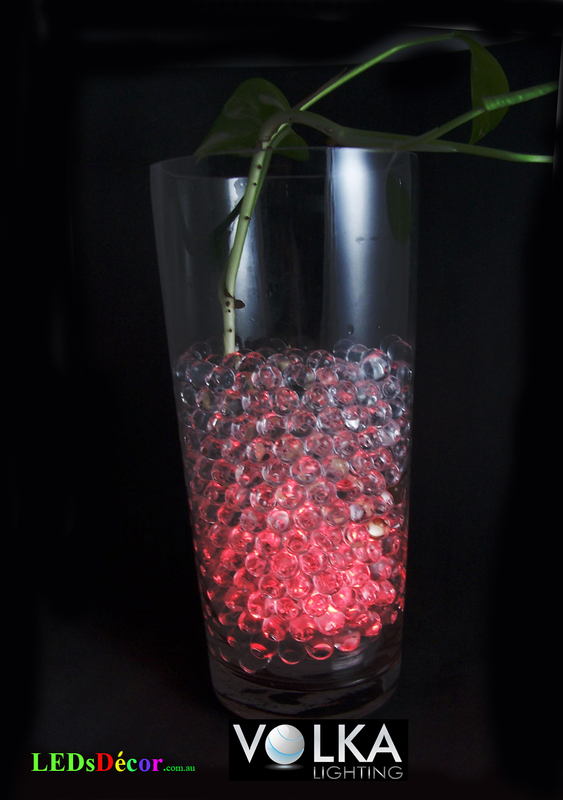 Color Changing Super Bright Vase LED Lights with Remote and Beads - VOLKA Lighting Pty Ltd. These Top Quality submersible LED lights are completely waterproof so you can place under water. 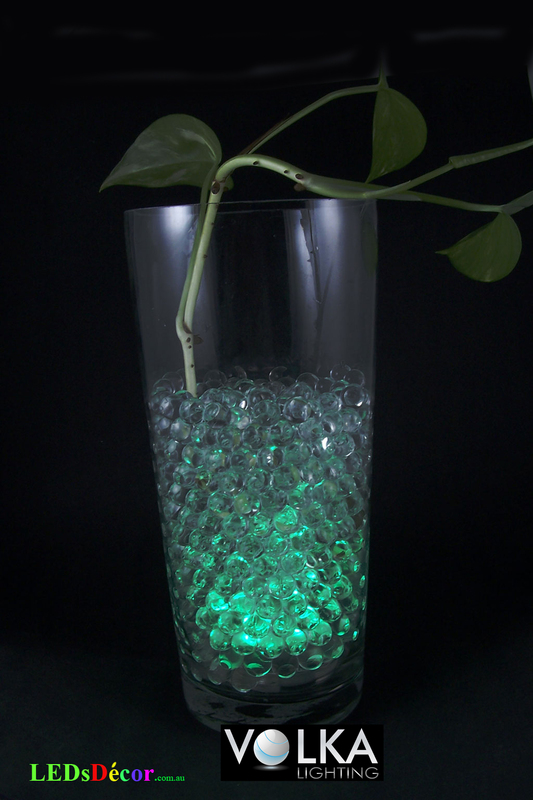 - Perfect for floral designs in glass vases and any water-filled table centrepiece. Flowers and vase shown in photos are for display purposes, and are not included in this item. One IR remote will control multiple Submersible LED Accent Light units. Water Beads are able to absorb and hold 100-200 times its volume of water for a long time. Each bead will expand to approximately 1.0 cm in size. To activate the Crystals Soil just open the pack and place in a vase and add about 1 litres of water for every 10 grams. It takes around 8 hours to take up the water. When it is done, you can drain off the rest of the water (always adds more water to ensures all the crystals absorb as much water as possible). Maintaining your water crystals is easy. When necessary, you can rehydrate them in fresh water until they return to their full size. Don't like the fact that after only one use it failed to turn on again. Couldn't possibly chew up the batteries that fast but put fresh batteries in anyways & nope, it just won't bloody work! Great effects,lots of comments ,looks stunning ! 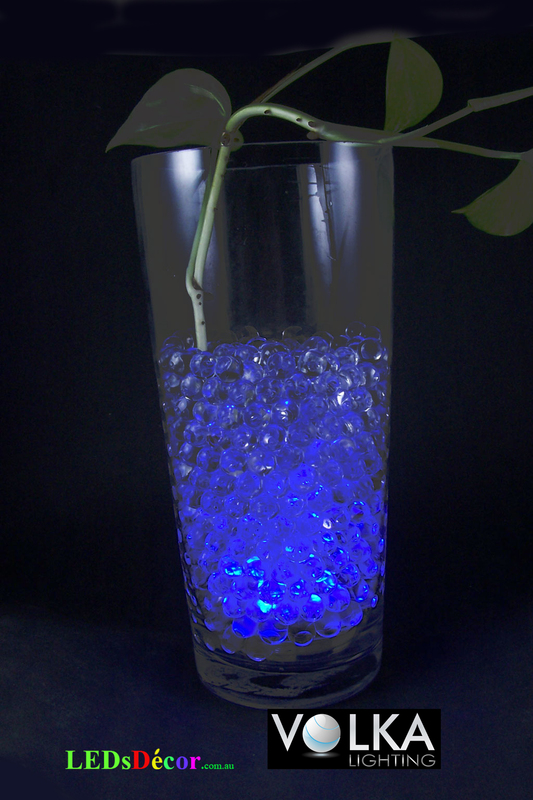 Click the button below to add the Color Changing Super Bright Vase LED Lights with Remote and Beads to your wish list.